More soup please! If you're looking to win new soups and sauces business, a key area you may be looking at is increasing your cooking capacity. Whilst it would be great to go and build a new state-of-the-art facility, often we're faced with getting more from what we already have. We asked Ian Beauchamp, OAL's liquids processing expert what the top five ways are to increase cooking capacity. One of the easiest ways to save time is with scheduling. Schedule all your allergen-containing products to be cooked last so that you aren’t waiting for equipment to be cleaned before you can continue production. The time saved may mean that you can easily increase your output compared to your previous schedule. What can you do to reduce your cooking times? Some parts of the process are fixed (such as hold times) and these can’t be reduced or removed. However, you may be able to substitute ingredients that cook faster into your recipe. Another option is upgrading your cooking equipment to a more efficient cooking vessel or method that takes less time such as retrofitting Steam Infusion cooking technology. As well as looking at your cooking times, there may be other areas in the production cycle that can be shortened such as ingredient loading times or transportation. Traditionally, ingredients are loaded by manual activities that add time to your cycle. For instance, you could try to shorten your tote bin lift cycle by increasing the speed of the delivery. However, new developments such as simplified cooking vessels and robotics such as OAL’s APRIL™ Robotics can help automate your processes, shaving valuable time off your cycle lengths. Burnt on foods take longer to clean and can contaminate subsequent recipes leading to costly product recalls and upset customers. This residue is caused by hot contact surfaces, which burn the product onto the cooking vessel. If you can remove the hot contact surface, you save time as cleaning becomes a lot easier and less detergents and aggressive cleaning methods can be used. Consider how your existing cooking equipment can be simplified so that it is easier to clean. Work with your suppliers to optimise your recipes by reducing the number of ingredients needed. This not only can save money, but will also reduce your ingredient loading times. Even reducing the amount of an ingredient can have a significant impact over time without greatly affecting the flavour. 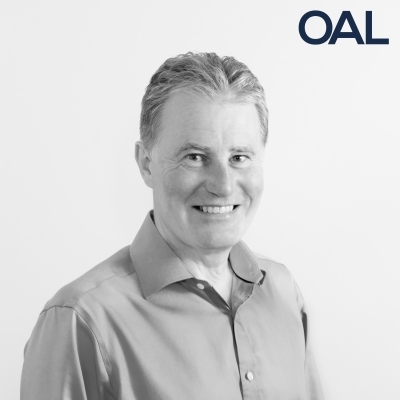 Ian draws on over thirty years’ experience working for companies such as P&G and APV within R&D, design, project management together with leading product, service and engineering activities. Ian facilitates Performance Optimisation projects within the food industry in a global position utilising Six Sigma and Lean methodologies.